The Euro continues to gain ground compared to the US Dollar as investors feel more secure after Mario Draghi, President of the European Central Bank (ECB) stated that there would no further expanse of its stimulus package according to http://www.iforex.in/ecb-president-says-no-more-stimulus/2378. 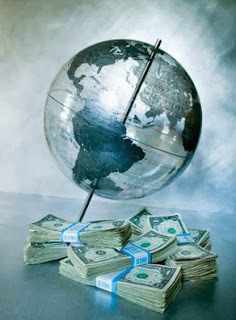 The Euro continued to gain ground even as the US economy reported high numbers and a lower unemployment rate. The Euro is the currency denomination for 17 nations in the Eurozone and is currently the strongest currency in the world. Yet the Euro came under fire several times during the global financial crises as Eurozone nations such as Greece, Ireland, and Portugal ran into trouble. The ECB along with the European Commission (EC) and the International Monetary Fund (IMF) famously offered the country a massive bailout fund to the tune of €130 billion in 2011. This bailout, along with other stimulus measures, was meant to help improve and stabilize struggling European nations and prevent a breakup of the Eurozone. Since June of 2013, the Euro steadily gained ground against 16 of the other major currency denominations. By the end of the first week in December 2013, the Euro reached $1.3706 against the US Dollar, according to Bloomberg News. Part of the Euro's recent success is the fact than the ECB will not be adding to the stimulus package in the future. It means that the Eurozone feels so secure about its recovering economy that future stimulus measures are unnecessary. The US reported a better-than-expected economic outlook in December of 2013. Employers hired 203,000 workers, higher than the expected 180,000. Because of this welcome news, the US Dollar rose 0.5 percent to 102.91 yen against the Japanese currency. However, these are moderate gains for the dollar. Traders believe that the Federal Reserve will keep interest rates low throughout 2014, although there is expected to be a small rise in rates. The Federal Reserve keeps interest rates low as part of the stimulus package for the US economy. Until this part of the stimulus ends and interest rates rise, it seems the US Dollar will struggle against the Euro. Other countries did not perform as expected against the Euro or the US Dollar. The Japanese Yen continues to fall as the government tackles issues with its Government Pension Investment Fund. The Canadian Dollar weakened against the US Dollar, the first time in three years. Experts site Canada's low 1 percent interest rate and increasing risk of inflation even in the country's recovering economy as the reasons for the currency's weakening stance.